Skeptics, skeptics," mused Lloyd Free of Golden State with a cocked eye and a cocky smile. "I've been dealing with skeptics all my life. I love 'em. Especially when they come around to my side." And lately they've all been coming around, though few so slowly as John Bach, the Warrior assistant coach. Bach is a tough Brooklyn-born former Navy officer who was a no-nonsense coach for 28 years at Fordham and Penn State before coming west a year ago to help his friend Al Attles. When Free, a 6'3" guard, joined the Warriors this fall after being traded away by the San Diego Clippers, Bach didn't quite know what to make of him. "He wanted me to call him World," says Bach. "Can you imagine? All-World? A 27-year-old guy in the NBA, All-World?" "It was fun," says Free. "He couldn't bring himself to do it. I'd always call him Coach Bach. 'Yessir, Coach Bach,' I'd say. 'You know best, Coach Bach.' And he'd say, 'That's right, Lloyd, that's right.' Well, I was trying to show him. Al Attles was calling me World. Al said, 'You call me Al and I'll call you World.' 'Anything you say, Al,' I said. 'You know best, Al.' "
Bach and Free held their positions for a couple of weeks, until a game against San Antonio, during which Free lit up the Oakland Coliseum Arena for 36 points, including a run of seven ceiling-scraping mortar lobs that hit nothing but net. After that game, Bach went to Free in the locker room and said, "You know something? Maybe you are All-World." To which Free responded, "It took you this long to figure that out?" And that was pretty much the end of Lloyd Free. Now he's simply World. He signs autographs that way, answers his phone that way, had WORLD printed on the back of his warmup jersey. A little more than five years ago World (a/k/a The Prince of Midair) came out of Guilford College to the Philadelphia 76ers, with a running mouth and a rainbow jumper, both of which seemed to go beyond the limits of human performance and human decency. While the shot may have been shut down by team politics, the mouth kept flapping, and World's reputation as a troublemaker grew. There were problems even when he was traded to San Diego and averaged nearly 30 points per game for two seasons. His reputation for selfishness increased, and off the court he was beset by calamitous financial problems and gnawing insecurities. This season, however, the NBA has discovered a new World. He and another resurgent son of Brooklyn, 24-year-old Bernard King, have joined with the very grown-up son of a Newark railroad worker, Attles, to create an exciting, winning team the likes of which the Bay Area hasn't seen since Rick Barry led the Warriors to the NBA championship in 1975. Like Free, King has found a new life. Three years ago he was a rookie sensation as a forward with the New Jersey Nets; one year ago he was suspended by the Utah Jazz after being arrested—and subsequently convicted—for sexually abusing a Salt Lake City woman. The arrest was King's second in three years as a pro and his sixth since his sophomore year at the University of Tennessee. King, who has blamed most of his problems on alcoholism, shared Free's fear that he might soon be returning to the Brooklyn playgrounds, his career ended. Now Free's and King's prospects are revived. They are the cornerstones of a rebuilding project that includes 7-foot Center Joe Barry Carroll, rebounding wizard Larry Smith, defensive specialist Billy Reid and Center-Forward Rickey Brown—all rookies—playmaker John Lucas, scorers Purvis Short and Sonny Parker, and wily 31-year-old Center Clifford Ray. Together they've become the most improved and one of the most exciting teams in the NBA. Attles says that it was the happy accident of tearing his right Achilles tendon during a practice last year that gave him the opportunity to recognize what the Warriors needed and persuaded him to coach another season. "I guess I'd been too close," he says. "While I was sitting in the stands, recuperating from my injury, I could see why we'd been out of the playoffs for three years. What we needed was an athlete who could make the great play for us and a forward who would run, pass, shoot and rebound the way Rick once did. Lloyd Free and Bernard King were perfect. We knew they were both risks, but we did our homework. We heard a lot of negative things about World, that he was selfish and uncoachable, but then I talked to some people I knew in Philadelphia, especially [76er Assistant Coach] Jack McMahon, who really loves him, and all I heard around there was that World is a great basketball player." 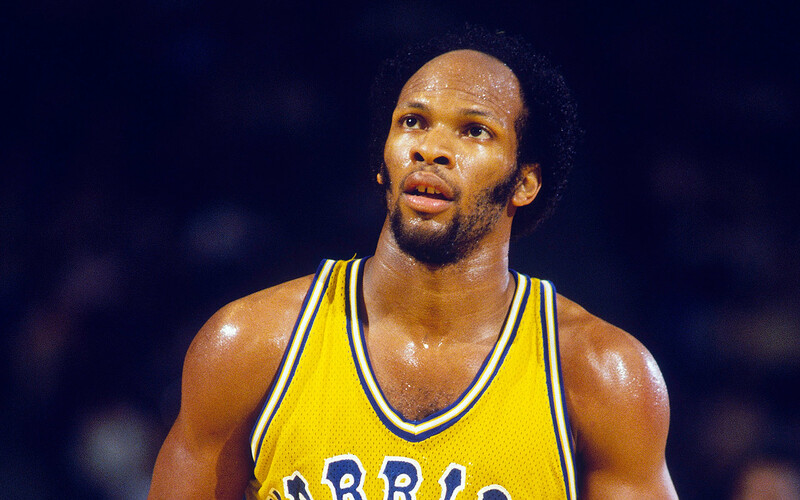 King was highly recommended by the Warriors' talent consultant, Pete Newell, who knew King from Newell's Los Angeles summer camp. "Pete kept saying how great Bernard was and how he had his alcohol problem beaten," says Attles. "That was good enough for me, so I asked our general manager, Scotty Stirling, if we could make a deal for him." San Diego Coach Paul Silas wasn't very interested in keeping Free, who made it known that he'd be very unhappy if his contract wasn't renegotiated, and Utah wanted no part of King. The cost to Golden State was Guard Phil Smith for Free, Forward Wayne Cooper and a second-round draft pick for King. A double steal if there ever was one. "I really don't see how either deal was risky," says Stirling. "People said, 'How can you win with a guy who scores 30 points a game?' I said, 'Last time we had a guy who scored 30 a game [Barry] we won the championship.' As for Bernard, if the worst possible thing happens, if his problems recur—and I don't believe for a moment they will—what did we lose for giving him a chance?" "A lot of people are giving me credit for all this 'last chance' stuff," says Attles. "I think that's garbage. It's Bernard and World who deserve the credit. We're just the recipients of their talent." King now shuns publicity as he doggedly maintains his alcohol-rehabilitation program. "It took the events of a year ago to make me realize for the first time that I had an alcohol problem," he says. "Now I feel sure I can beat it." King is averaging 17.8 points, on 57.3% shooting, and seven rebounds a game. Free is averaging 27.7 points and is the vocal team leader. When Attles named him captain, he took the role very seriously, saying. "We have four rookies and everybody else is young. They all look up to me. I'm making these guys into monsters. Larry Smith is already one of the best rebounders in the league and I'm going to make him even better. I know how to do it. Rickey Brown and Joe Barry Carroll—look out, I'm going to do for them what I did for Darryl Dawkins in Philly." "That's when I started to learn. But it took guys like that to tell me." And they had to tell him more than once, because World kept his smart mouth flapping and approached practice as though it were kindergarten recess. "Some of us would wear funny hats, put our jockstraps on backward outside our pants, say outrageous things to reporters. You could tell me anything and I would say, 'Yes, I am the greatest of all time.' Me and Darryl. Mutt and Jeff, they called us in Boston. We'd try to one-up each other night after night. I'd say I can do this and I can do that, but I never got to play more than 15 minutes a game. I 'd say I was better than Bob Cousy—I never even saw Bob Cousy—and Darryl would say he's better than everyone but God. Everything I said went into the papers. That helped me in one way because I became known, but pretty soon everywhere I went the fans all hated me. That was terrible because I'm very sensitive. I was trying to do the right thing, to give people a good show, because I remembered all the times when I'd cash in Coke bottles to get the money together to go to the Garden to watch the Knicks. I'd be sitting up so high I couldn't even see, but I heard the crowd and I knew I was getting a show." Free made the most of his playing time. In his second season, 1976-77, he averaged 28.9 minutes and 16.3 points a game, and he singlehandedly took Boston out of the playoffs. Gene Shue, then the 76er coach, knew well what Free could do, but he was forced by practical considerations—Julius Erving, George McGinnis, Doug Collins and Caldwell Jones were all being paid enormous salaries—to stifle Free. "I didn't have the kind of power a coach needs," says Shue. "Lloyd was a fantastic talent. It hurt me to tell him to sit down." Free understands that now. "Ain't nobody was going to buy tickets to see Lloyd Free at that time," he says. "You know, a man calling himself All-World, who nobody ever heard of? Now, how can you possibly come to the Philadelphia 76ers and call yourself All-World? After that Boston playoff it got better for me, because I played so well." In Free's third season, Shue was fired and replaced by Cunningham, who used Free, but only because of an injury to Collins. On the eve of the following season, Cunningham traded Free to San Diego, where Shue had become coach. "When I first got traded I needed to go out and prove what I could do because in Philadelphia I had talked so much about it," says Free. "The opportunity was wide open for me. Gene gave me that shot. He said, 'You're going to help this team tremendously with your scoring.' I didn't think so, because of the way the guys there were looking at me. I could almost hear them thinking, 'The ball's going to disappear when it touches that man's hands.' After two months, Kermit Washington said, 'Hey, you're not like what those guys say you're like. I thought you were a terrible guy, and here you are, one of the best players in the league. People just don't know the real you.' Well, that was one of the best things anyone ever said to me. Then, Kevin Kunnert, Freeman Williams, even Sidney Wicks started looking to me as the leader." And that he was, averaging 28.8 and 30.2 points a game as the Clippers' main scoring threat. But even as he was emerging as an offensive star, the financial problems that had been plaguing Free finally came to a head. He felt he deserved more money. The Clippers didn't think so, but Golden State did, which explains precisely why Free is now a very happy Warrior. Golden State tore up his original long-term contract for a maximum salary of $160,000 a year, well below the league average, and replaced it with one worth much, much more. "You know, I came out of a nobody school with no name, so I didn't expect to make a great amount of money," Free says. "I didn't know nothing. I didn't even know how to open a checking account. But once I started playing, and playing well, I felt I ought to start getting paid more. Then they told me I was locked into my contract. There I was in San Diego, scoring George Gervin-type points, and getting nothing for it. I'm a so-called troublemaker, and I've got money problems. With a rep like that I could've disappeared from the league. I was getting real weak. I forgot about all the hard work I'd done, all the fun I'd had. That's when I started losing my hair. My folks helped me a great deal. And there I was last summer, back home, knowing that I'd promised to get my mom and dad out of Brownsville. Well, things hadn't worked out the way I'd planned." When Golden State completed the trade with San Diego, Free hired Los Angeles attorney and former UCLA star Fred Slaughter as his agent. Slaughter began the arduous task of "trying to unscramble Lloyd's finances" while negotiating a new deal with Stirling. "Lloyd's contract was the most messed-up thing I'd ever seen," said Stirling. "I know that most clubs are against adjusting existing contracts, and so are we, but if anyone ever deserved to have a contract redone it was Lloyd Free." And so it was. If he hadn't made it with the Warriors, it might have been all over for Free, and it's here that the credit goes to Attles. "Coming to the Warriors, I was very self-conscious," says Free. "Lucas was the head honcho, Parker and Short were coming back as the top scorers, Bernard and Joe Barry were coming too, and I was afraid they'd think I wanted to take over the whole show. And I was replacing Phil Smith, who went to the University of San Francisco and was very popular here. So at the start of the season I took only 12 or 13 shots a night. I would get 20 points in the first half and then not shoot in the second. I wanted everyone to know that the guy who averaged 30 points could give it up for the team." But as Attles soon realized, Free was sacrificing himself to the detriment, not the good, of the Warriors. "We overreacted," says Attles. "We drummed the team concept into him and started to structure him too much. We got beat at San Diego one night and I went back to the hotel and thought, 'We've got all these high-powered offensive guys and we're 6-5 and only scoring 104 points a game. We got one of the most dangerous guys in the league and he's only taking 12 or 15 shots a game.' So I went to World and said, 'Look, you've proven to me that you can do all things we ask. You pass the ball, you're even playing defense. Now I want you to do what you do best.' "
That's all the coaxing World needed. He went out in the next game, against San Antonio, and made 16 of 25 shots and 36 points and racked up five assists. That was the turning point for the Warriors, who went on to win five of their next six and 10 of 17 to make their record 16-12 at week's end and put them in third place in the Pacific Division. After those 17 games, Free had increased his shots per game from 15 to 18.5, his percentage from 43.7% to 48.6%, his scoring from 20.3 to 27.7, his assists from 4.5 to 5.1. In San Diego, he averaged 22 shots a game and 4.7 assists. Far from griping, his Warrior teammates are ecstatic. "It's great to play with him," says Lucas. "As long as he wants the ball, I'll do what I can to get it to him." "My game is like my nickname—World," says Free. "A world is round, a full circle. And I have turned my whole self around. I can throw the ball in from anywhere; I'm coachable, a leader, a winner, and just a hell of a player, although I don't feel I have to say that anymore. I'm also lucky, because I go back to Brownsville and see guys like Fly Williams, Phil Sellers and Larry Fogle, guys who are out of the league because they never got the breaks. I was almost out of this league, too. I know that. But now, playing under Al, my game has made a world turn, and all Al has to do is tell us how to win. You won't hear World saying Al doesn't know what he's doing." At the moment, nobody would. PHOTOANDY HAYTWheeling handily past Los Angeles defender Michael Cooper, Free scored 28 points, his season's average, in a 119-103 victory over the Lakers Saturday. PHOTOANDY HAYTKing has good reason to be exultant: he's playing well and thinks he can win his fight against alcohol. PHOTOANDYHAYTGolden State started streaking as soon as Coach Attles gave World permission to shoot more freely. PHOTOANDY HAYTCarroll is one of four rookies on the Warriors.